Review Context: Halloween is my favorite holiday, but I had never played or heard of Costume Quest before this year’s Halloween. I played Costume Quest right before playing Costume Quest 2. Costume Quest 2 is a simple and sweet JRPG that uses the power of Halloween to bring out the kid we all still have buried inside us. Though not very difficult or complex, Costume Quest 2 is a treat filled with witty jokes, dipped in good vibes, and covered in a delightfully spooky wrapper. For anyone who wishes they weren’t too old to go trick-or-treating, Costume Quest 2 will satisfy that sweet tooth. 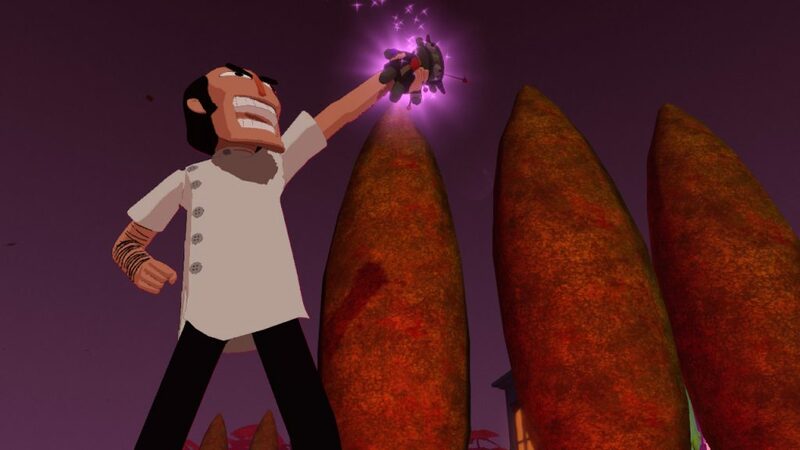 Costume Quest 2 is about a group of kids who stop an evil dentist from ruining Halloween by traveling through time to acquire an army and make Halloween illegal. The kids accomplish this by transforming into giant fighting versions of whatever their costume is and battling monsters. 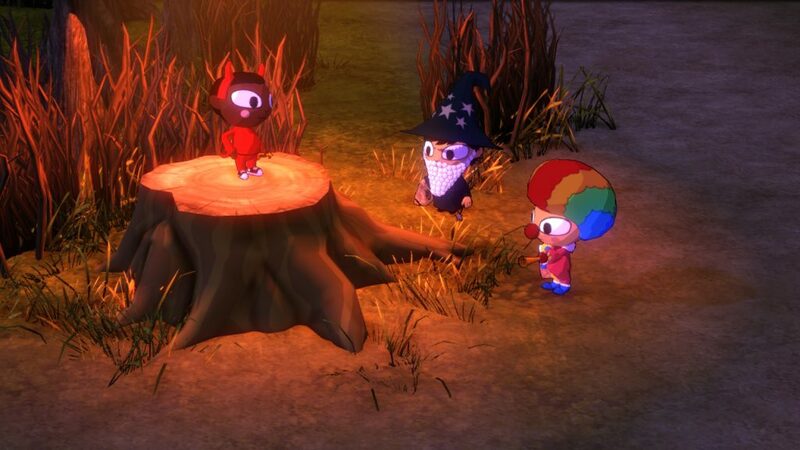 Costume Quest 2 is a short and simple game. The gameplay is really nothing special… It is a turn-based RPG where you have to time a button press along with your attack in order to do maximum damage, or to block and take less damage, but the only build customization is what costumes you have on and what special “Creepy Treat Cards” you have equipped. You have three party members so you can have three costumes selected, which have their own special abilities and passives. Most costumes also have an ability that can be used outside of combat in order to remove barriers or circumnavigate obstacles. There are also three types of monsters, and each costume is weak against one but strong against another. You can have three treat cards equipped, which do anything from full heal a costume to making opponent’s attacks hit themselves. Once used, they require a certain number of battles to pass before they can be used again, but you can simply equip a different card instead and the used card will still recharge, even while not equipped. In Costume Quest the creepy treat cards were merely collectibles, and instead you could equip one battle stamp to each costume, giving it a special ability. In Costume Quest 2, since the cards actually have uses, finding or buying cards is considerably more rewarding. There are over twenty treat cards with their own fun art and names, like rice creepies, which are bat shaped rice crispy treats that make it so the next monster to attack the affected hero instantly dies. There is a superhero costume that does really high damage and has a big damage nuke as a special ability, so when you activate the Nubbins card, which makes a costume do double damage for three turns, enemies just melt quite satisfyingly. In battle, you can either basic attack, use a treat card, or if your special meter is full you can use that costume’s special ability. Costume Quest 2”s strength is not its combat, but its pleasant and it works especially since the game is rather short. It’s hard to get tired of the combat before the game ends. Costume Quest 2 strengths lay in its theme and in its writing. Its bats and pumpkins everywhere, with spooky fog and candy galore. With Halloween being my favorite holiday, Costume Quest 2 brought me back to my childhood; memories of making my costume out of household goods and hoarding candy like it was gold. The music is delightfully spooky and the art is fun and playful. Not only is it almost an overdose on spooky goodness, but it’s the only game I’ve seen that actually uses trick-or-treating as a game mechanic. Every house could either be another load of candy, or a surprise attack from monsters. When your candy pale is full there are costume upgrades to buy and creepy treat cards to collect. Treat cards can even be found just laying around in some very cleverly hidden secrets. Costume Quest 2 also has a witty and adorable sense of humor. Charming, fun, and filled with quip after quip, one can’t help but smile when playing it. Combined with its fun art style, Costume Quest 2 kept me giggling like I was on a sugar high the whole way through. Costume Quest 2 may be simple and very easy, but as a result the game has almost no flaws. No bugs, no balance issues, no graphical glitches, no fetch quests, and with some quality of life improvements from Costume Quest, no blemishes that could break the wide smile this game will put on your face. They even took the rocket skate sprint ability from Costume Quest, which was only usable if you had a specific costume equipped, and made it so you can always use it. The UI is clean, the quests are straight forward, the load times are short, and you can even buy maps to help you find all the houses in an area. If it has a flaw, it’s that it has a bunch of references and jokes that only make sense if you have played Costume Quest. Since both games are very short, there is no reason not to play Costume Quest, as it is just another lovely dose of nostalgic spookiness, with only a few very minute changes to the combat system. 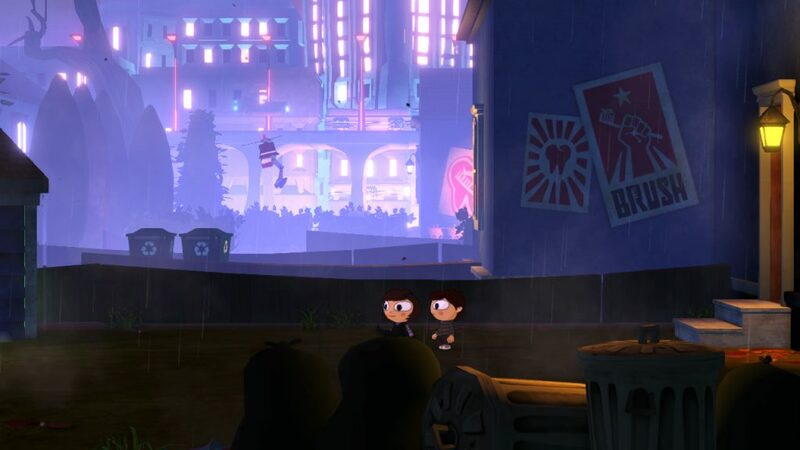 Costume Quest 2 is to Halloween, as A Christmas Story is to Christmas. 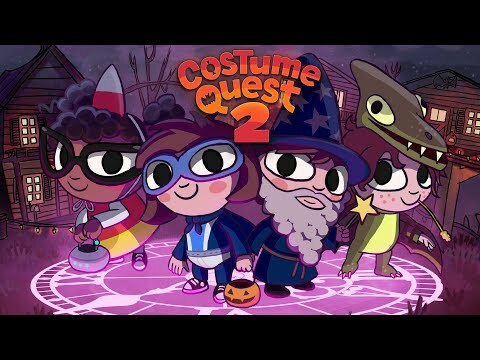 Fun, easy, simple, and short, Costume Quest 2 is some holiday fun that can bring the joy of trick-or-treating to all ages. Because the enjoyment of the game stems from the jokes and the aesthetic, there isn’t much reason to play it a second time through, but that is okay because Double Fine went and made two. Just in case one dose of spooky goodness wasn’t enough. Costume Quest 2 can satisfy anyone’s Halloween sweet tooth without leaving them with a sour stomach either.